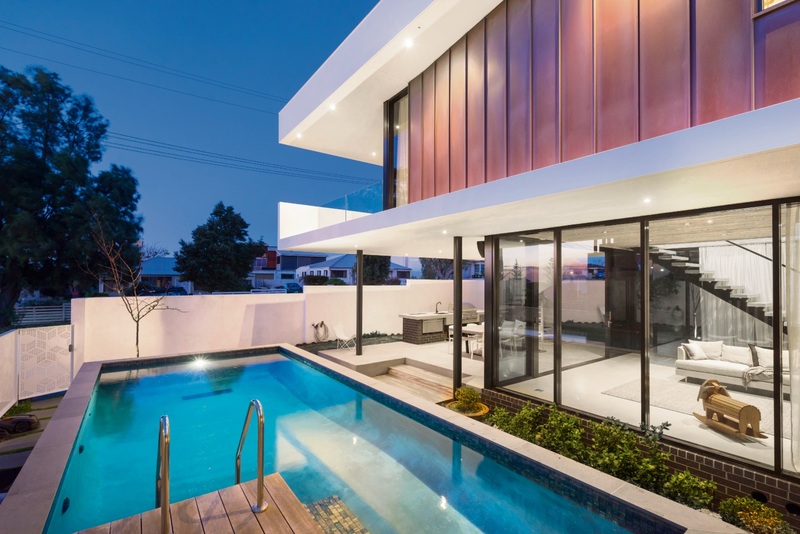 WOW is the initial response to this incredible home designed by Chindarsi Architects. 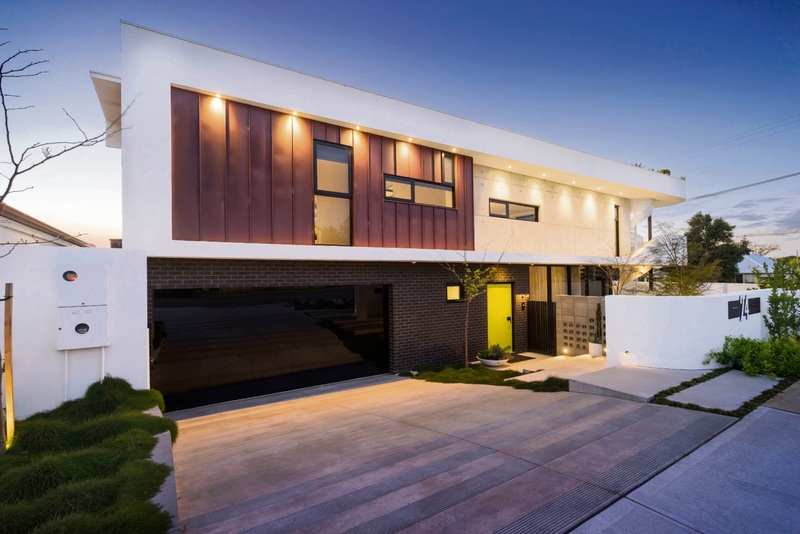 The owners lived in the previous home on the 500sq m block for five years before demolishing it and building this masterpiece three years ago. 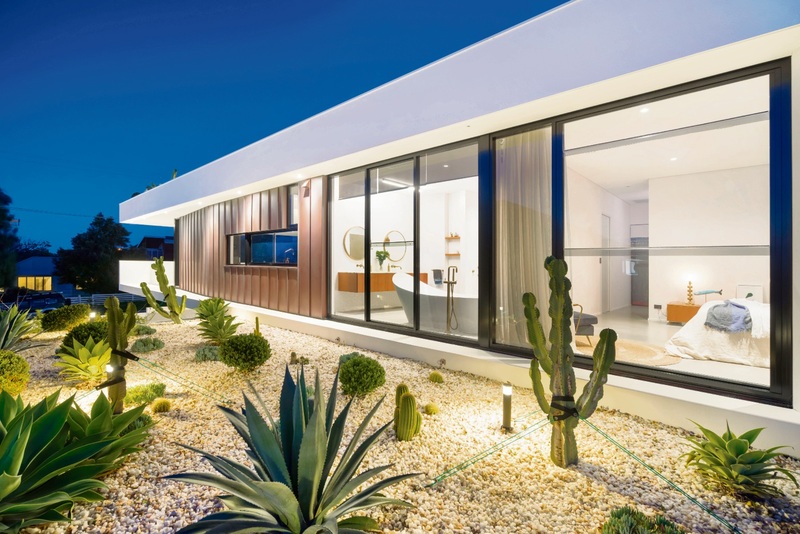 They liked the location and the views and their vision was to create a unique architectural home using mid-century influences with industrial low-maintenance materials that maximised the views available. “The design was inspired by images collected from other homes that we liked from all over the world,” the owners said. The result truly is one-of-a kind, with stunning features, high-end fittings and fixtures and a focus on lifestyle. The ground floor is suited to relaxation and entertaining, with an open-plan formal living area that opens to the backyard. Here you will find a well-appointed alfresco area with fridge, dishwasher, stainless-steel cabinetry, built-in barbecue and feature copper lighting. There is also a raised salt-water pool. 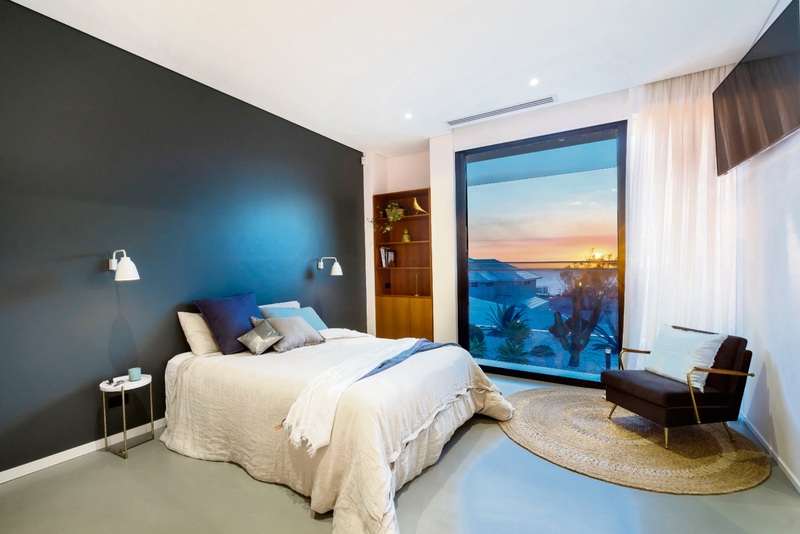 Two bedrooms with built-in robes, a bathroom with Kaldawei pressed steel bath and custom coloured glass showerscreen, aged copper tapware and underfloor heating, and a HIA award-winning laundry complete this floor. 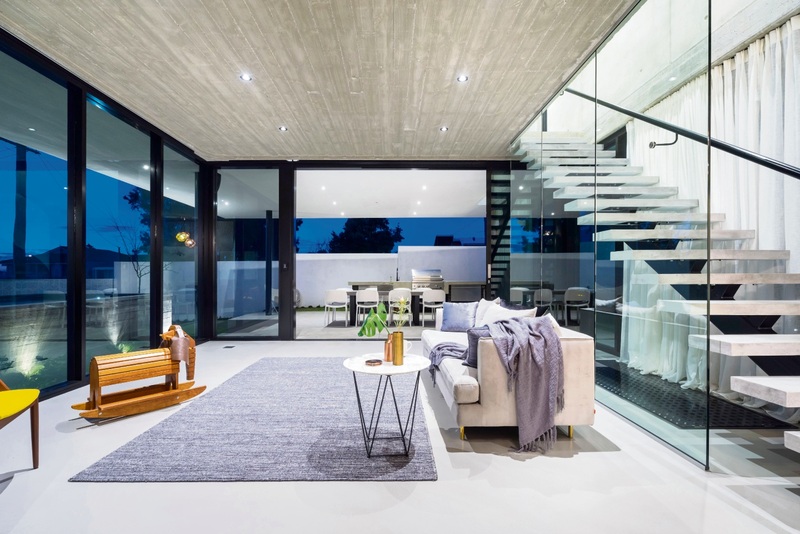 A polished concrete staircase leads upstairs to the more informal, but equally impressive living zone. 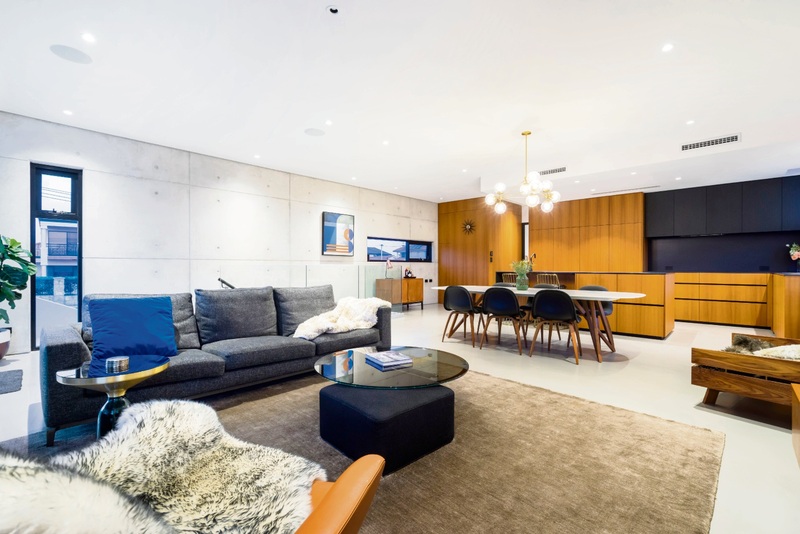 There is an open-plan living/dining/kitchen area with soaring ceilings and chandelier. The owners love this space. 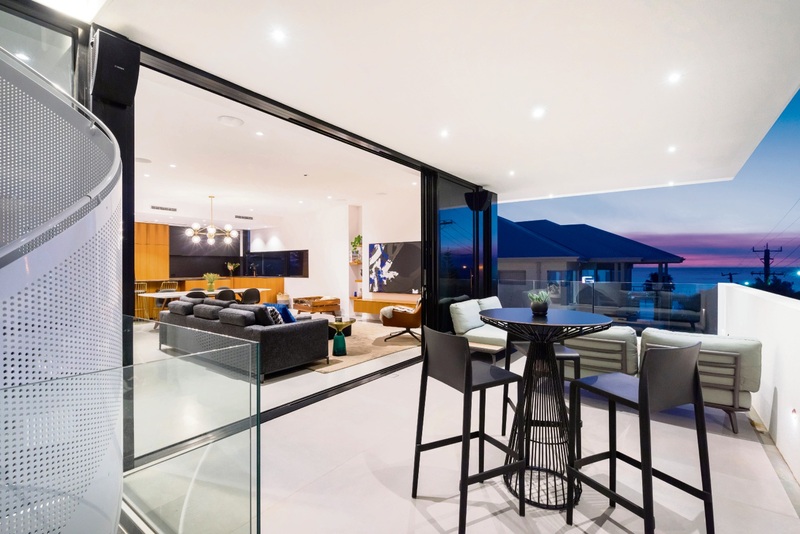 “We can appreciate the views of the ocean from various aspects while enjoying some of the main architectural features of the home, including the concrete wall and teak cabinetry,” they said. The upstairs living area opens to balcony where the owners said you can enjoy a lovely ocean view down the street. 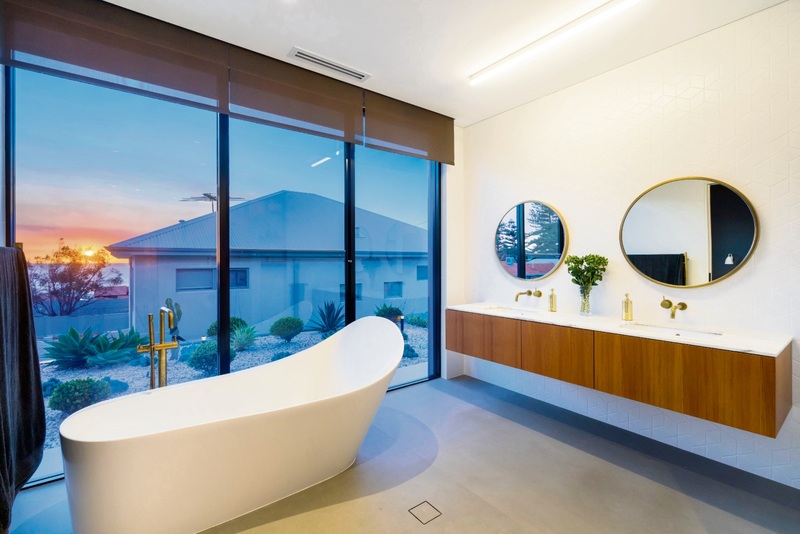 The master suite is also on this floor and has teak veneer cabinetry, laundry chute and ensuite with Laufen bath, Calacatta marble benchtop, underfloor heating and ceiling speakers. 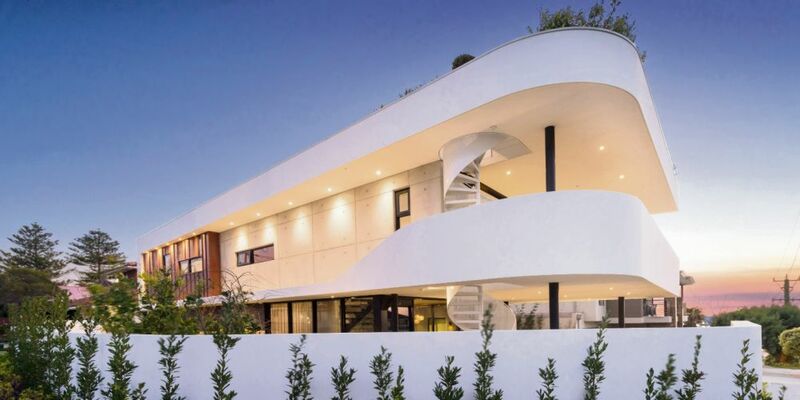 An extra special feature is a spiral staircase leading to a rooftop viewing deck where the owners said you can enjoy a drink and the 360-degree views of the coast, bushland and a glimpse of the city. The owners have an 11-month old and are reluctantly selling, saying the home was not planned with the changing needs of a little one in mind. They have loved the location and will not be moving far. “It is the best place to live in,” they said. 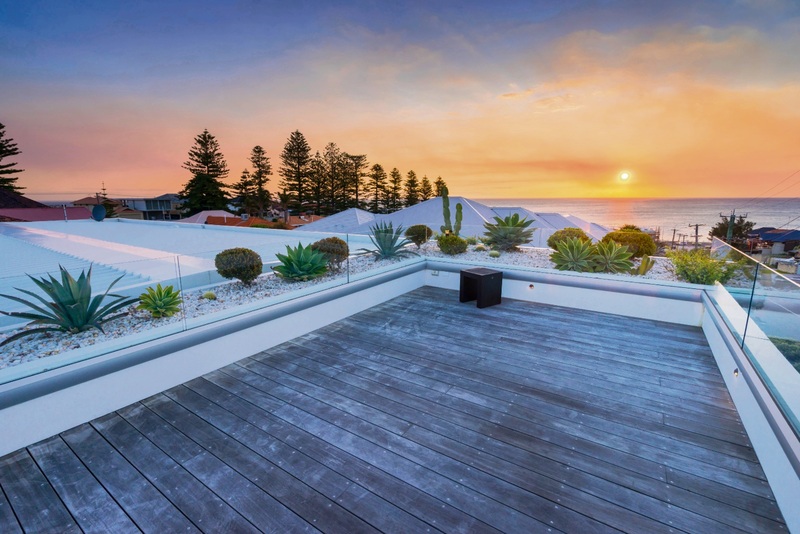 “With more and more happening on Flora Terrace and also the buzz of West Coast Drive, and everyone is relaxed and friendly. “We love dining and shopping on Flora Terrace, and coffees and breakfasts on the coast.